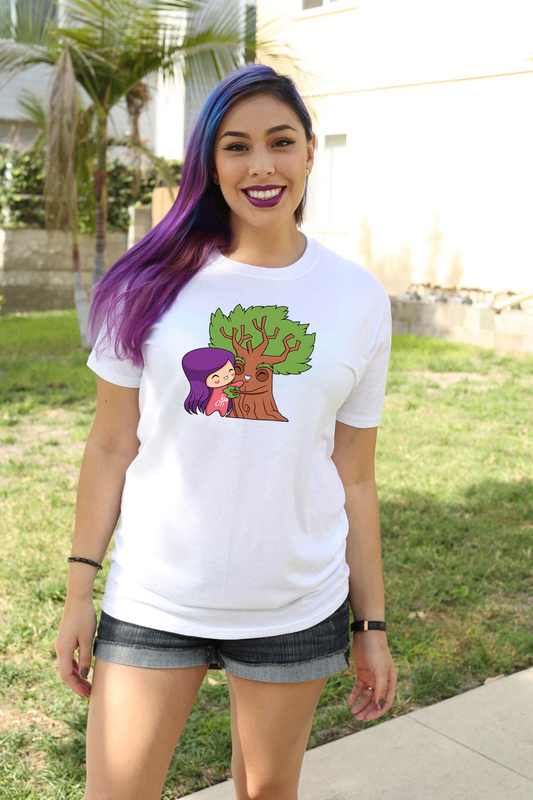 "I designed my first charity tee with Tree Story for all of my fans! Our mission: to expand and maintain LA’s green canopy, with particular focus on low-canopy communities; to promote healthy living; and to create jobs. Toward those ends, through a host of programs, we provide fruit and shade trees to LA residents, plant street trees in the City of LA, and educate and train community members in maintaining and caring for their canopy. Tree Story is a mobile game where you feed and care for your virtual pet trees, dress them up in fashionable costumes, and play fun games with them.